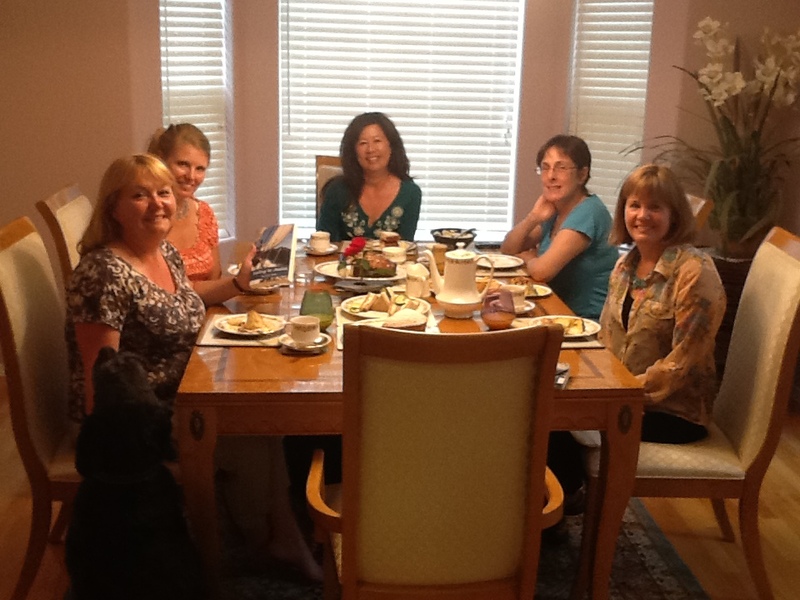 The Ashland (OR) Book Club invited me to join their discussion of Sailing to Jessica - what a lively conversation! At the start of their maiden voyage and very aware of her lack of sailing experience, Kelly defers to Paul and Bruce's sailing decisions; by the end of the trip, Kelly feels confident enough to sail around the world. Do you think the story would have changed if Kelly hadn't gotten this boost of self-confidence? How? In Chapter Two, Kelly describe her and her husband's struggle with infertility as a life crisis which made them question the meaning of their lives. Do you think that selling their house and jumping on a boat - when Kelly and Paul didn't have any sailing experience - was a justified or extreme response to their situation? Why? Have you, or a loved one, experienced a life crisis? What was it and how did you (or they) handle it? In "Sailing to Jessica, " Kelly and Paul set off to sail around the world, relying on how-to books until they gained experience to draw upon. For example, Kelly uses knowledge she gained from a book to convince Bruce to keep watch from the cabin during their maiden voyage; she uses a book to help her plan her one-year provisioning/grocery shopping trip; she studies pictures to learn eyeball navigation in the Bahamas. Do you think books can teach us any - or all - subjects? Are they a reasonable substitute for experience? Kelly and Paul disagree about bringing a gun at the start of their trip but when Kelly spots a suspicious-looking boat off the coast of Ecuador, she tells Paul to grab the gun. Why did she change her mind? Would you bring a gun on this trip? Why or why not? At three different points along their route, Kelly and Paul are given the option to sail "the road less travelled," and they choose to take those routes which led them to Katiu, Suwarrow and Tuvalu/Kiribati. In Tuvalu and for the majority of their stay in Kiribati, they are the only sailboat in the anchorage; in the other locations, there are just one or two boats. Why do some people chose a different path? Is it due to a sense of exploration or a desire to be different? If you were sailing their route, would you choose to visit these remote locations or would you stay with the majority of sailors? Why? What was your favorite place along Kelly and Paul's route? Why? Kelly wrote: "The tsunami confirmed my unspoken belief that Paul and I were supposed to be in Kiribati; that this was part of our destiny." Do you agree with Kelly's assessment? Have you ever had a similar experience, where you just knew you were destined to be there? Do we even have a destiny? Or do we make our own destiny? What do you think about the concept that adoption is like marriage because it unites two families? Kelly and Paul had an unusual adoption process in that an adoption agency was not involved, they had custody of the baby immediately and they faced serious paperwork obstacles. Have you, or anyone you know, adopted a child? What was their adoption process like? How does it compare with Kelly and Paul's? 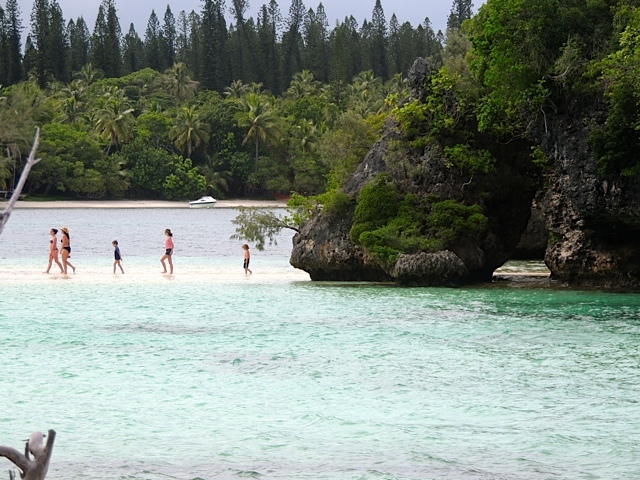 Do you think Kelly and Paul made the right decision after the gale in Tarawa? Why? What would you have done in their position? What are the similarities between Cherokee Rose's first and final passages? Are there any differences? Want Kelly to join your Book Club discussion via Skype or FaceTime? Did you keep track of all of those islands? Ready for a fun geography quiz? Take it here on Goodreads. Here is my recipe for this ultimate cruising drink. Mix equal parts of orange juice, guava nectar, pineapple juice and rum; sprinkle with nutmeg and enjoy! (Btw, Alida from s/v Acclaim - friends from the Bahamas - has a similar recipe but she uses grapefruit juice instead of the guava and adds a splash of lime juice and/or grenadine syrup to taste...). This recipe is also good without the rum. I made these often on board as coconuts were plentiful; I used "Gourmet" magazine's recipe here and modified the salt to taste. Paul cracked our coconuts with a machete :) but if you don't have a machete-welding Paul around, you might ask your grocery store produce manager to crack the coconut for you - and skip the first part of this recipe. “Don’t quit your day jobs!” said the parents, but Kelly and Paul Watts did just that, giving up successful careers to set off on an around-the-world sailing trip—with virtually zero sailing experience. But a certain important event suddenly stopped their trip halfway. They landed on a tropical island in the Pacific and a week later had a 4-month-old baby on the boat. Adopted, just like that. Kelly has documented their adventures, both happy and harrowing, in her new book, Sailing to Jessica. Here is my interview with Kelly, who happens to be my step-daughter, and Jessica is my beloved granddaughter. You and Paul decided to sail around the world with virtually no sailing experience. Knowing what you know now, would you do it over again? One glance at our gorgeous children and the answer is easy: Absolutely. If I remove our unusual adoption story from our sailing journey, I would still do it again - the same way. Because we actually went sailing – and that’s what counts. Over the years, we have met many sailors who dream of sailing around the world, but never do. They need more money before setting sail; they need a better or bigger boat; their children are too young, or they are too old. If we had postponed our trip to gain sailing experience, as many people suggested, I doubt we would have gone. We would have lost our momentum and, in retrospect, I think our momentum transformed us from dreamers to doers. We made the final decision to sail around the world on New Year’s Day and started searching for a suitable, used boat that afternoon. We bought our boat in April; sold our house in May; quit our jobs at the end of June and were living aboard by July. That doesn’t mean that everyone should just jump into a boat and set sail…as my book Sailing to Jessica illustrates. While we had read dozens of book about sailing, we created additional stress, and put ourselves in danger by not having more sailing experience. You had lots of harrowing moments on the trip, but another scary part of the trip was abandoning two lucrative careers for four years, to follow your dream. How did you accomplish that? Quitting our jobs was the scariest part of our trip. Most of us are raised to value our jobs – and those nice paychecks – over everything else. So “throwing away” an accomplished career for a dream feels wrong, I know. But Paul and I decided that there had to be more to life than just working. We might be giving up our jobs but our skills, our experience, and our knowledge would remain with us. We figured someone would hire us when we returned…and they did. Your book is about sailing, but it’s also about turning dreams into reality. What advice would you give those of us who are contemplating leaping into a new life adventure? Deciding to follow a dream is not easy. It takes guts. Paul and I spent months debating this crazy idea of sailing around the world. We struggled to weigh our real-life house, salaries and stock options against intangibles, such as quality-of-life and seeing the world. It turned out that the idea of NOT sailing – of not pursuing this dream and having regrets for the rest of our lives – was the most compelling reason TO go. If you feel the same way about your dream, then do it. Commit yourself to your goal, prepare yourself as well as you can in the time you have, and go. But don’t delay; dreams don’t like to languish. How has your life changed since your adventure? Besides becoming proud parents, our lives are subtly but profoundly different. Before we went sailing, our jobs defined our lives. Now we consider how we want to live, and fit our jobs into that life. And, really, isn’t that the way life should be?